Recently, I was approached by my friend and luminary, Rabbi Ruth, of Be’chol Lashon and Jewish&, as she was putting together a multi-cultural blog post about charoset. I considered submitting my family’s classic apple charoset recipe, as I make heaps of it to rave reviews every year. As I was wracking my brain for just the right recipe I realized that while many of my family’s Passover traditions stem from my father’s Ashkenazi roots, so much of my Jewish identity stems from my mother’s Cuban heritage. My mango and pineapple charoset balls, ready to be chilled in the refrigerator. This year, for my new charoset recipe, I found inspiration from the Sephardic tradition of forming the charoset paste into bite-sized balls, and used the flavors that I remember so well from my visits to the family in Cuba. Now, I know how my family reacts to change, so I won’t be pulling a bait and switch with their beloved spiced-apple charoset. For my family members who are reading this post, fear not. I promise that this recipe will certainly not replace our favorite charoset on the seder table, but perhaps I’ll serve it alongside the classic dish as a second option. Isn’t that how new traditions start? Also, since it is naturally quite sweet, it could even double as an acceptable dessert. That’s what we like to call a double-whammy! 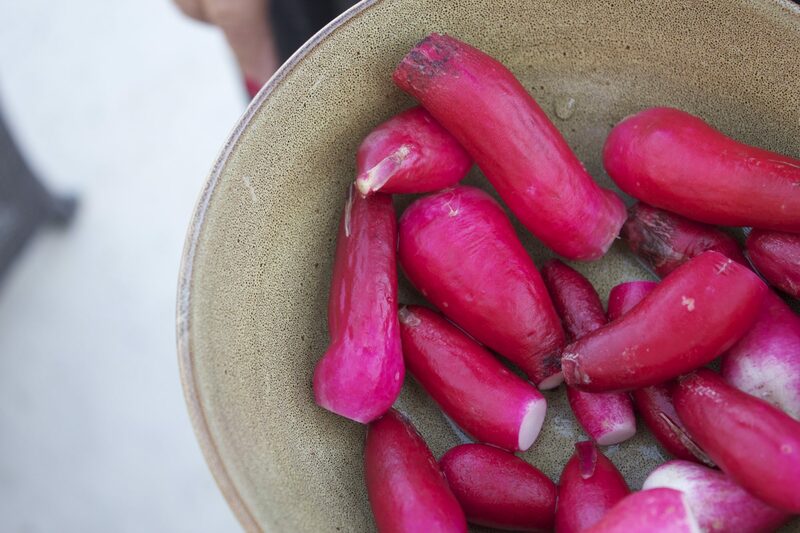 For more charoset inspiration, check out the 7 different recipes Rabbi Ruth collected from around the world, by clicking here. This Cuban-style Charoset is inspired by the island flavors that influence so much of my cooking. While most Charoset is served as a paste, I drew on the Sephardic tradition of making Charoset into small balls for this unique take on a classic dish. They look delicious. Unfortch, I am allergic to mango. Any suggestions for an alternative mixer? I imagine that you can use most dried fruits. Maybe try apricots? They look delicious. I can’t wait to try them. This charoset was the surprise hit of the seder. Easy to make and everyone loved it despite the suspicious side looks it got when presented. I’ll definitely be making it again in the future. I didn’t have unsweetened pineapple so I used 1c. 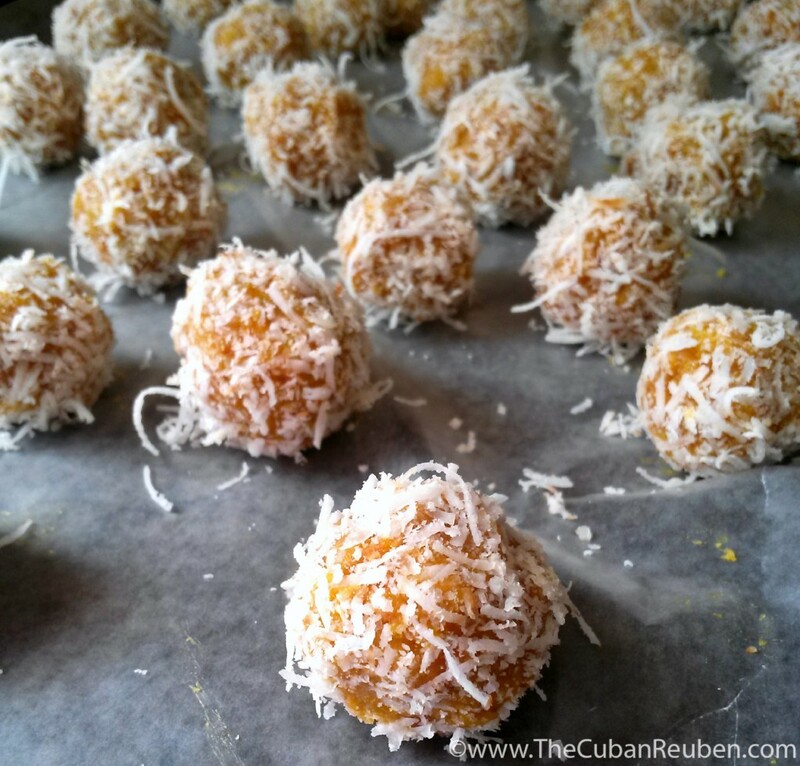 each sweetened and unsweetened coconut to balance the extra sugar from the pineapple. It worked just fine. I notice you didn’t toast the coconut for the pictures. It does taste pretty good toasted, though. Thanks for the kind words. I’m thrilled it worked out for you! This recipe is awesome. TY for posting it! My mom is Sephardic and we make a similar version, but with dates. Also Brazilian Jews use mangoes in there charoset too. Can you use fresh fruit or only dried? It is hard to find unsweetened dried fruit and the sweetened has way too much sugar for me. I recommend using dried fruit for this recipe, so that it creates the perfectly sticky consistency for rolling the balls. I find my unsweetened dried fruit at Trader Joe’s or Whole Foods. Best of luck! trader joes has a bag that is dried mango, dried pineapple and dried coconut – perfect for this recipe. 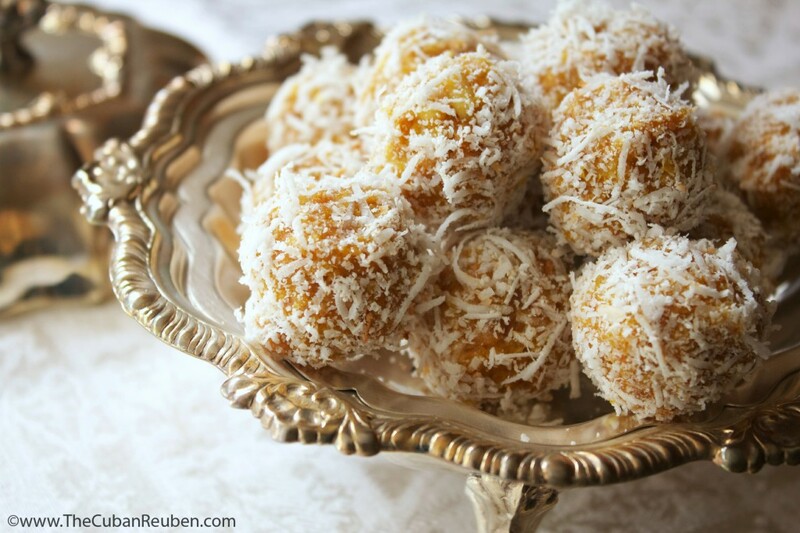 you just need the almonds and some shredded coconut to roll it in – they were a big hit last year !! Fantastic! What a good find!